After a year of actively participating in consultations, Cooperatives Europe is pleased that three distinct mentions are highlighting the importance of cooperatives as key actors in the implementation of the 2030 Agenda. 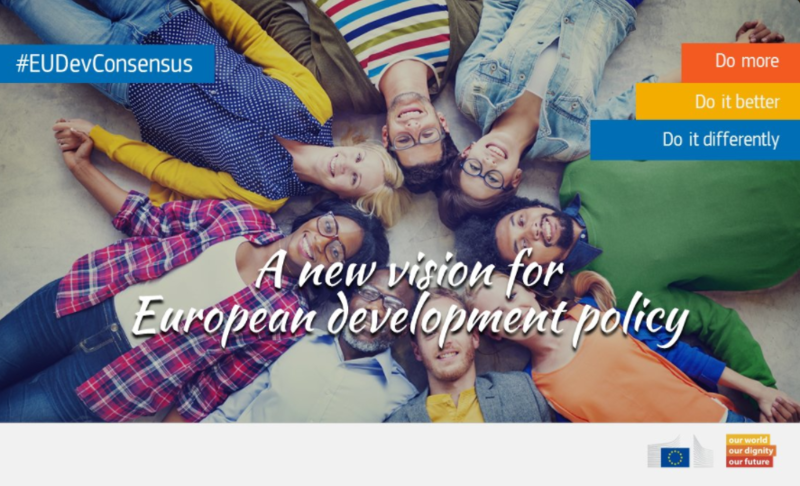 On 17th of May 2017 the European Union adopted the new Consensus on Development. The document is a joint agreement among the most important EU Institutions – Commission, Parliament and Council. It provides the framework for a common approach to development policy that will be applied by the EU Institutions and the Member States and will guide their action in their cooperation with all partner countries, responding to the 2030 Agenda on Sustainable Development. Cooperatives Europe is pleased to see that the EU is committed to “(…) promote the creation of farmers’ organisations and cooperatives, to address among others, better productivity of family farms, land use rights and traditional farmer based seed systems.”, underlining the role cooperatives are playing in poverty eradication and food security. Furthermore, the EU expresses its commitment “(…) to promote private sector initiatives and social enterprises, cooperatives, and women and youth entrepreneurs, to boost the provision of local services as well as inclusive and green business models”, acknowledging the democratic and inclusive nature of cooperatives.